BuySilverMalaysia invested in a sophisticated and high technology tool used for mining industry to ensure the products we sell and deliver to our customers are authentic and genuine. We would like our customer to have a peace of mind when they purchase from BSM. 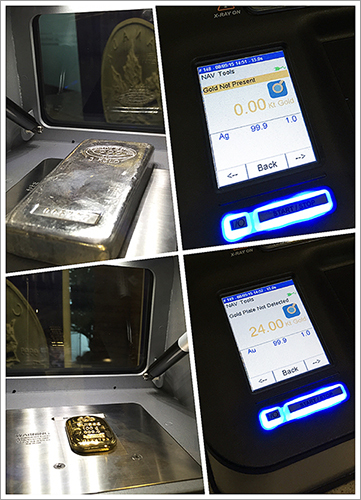 We use an X-ray machine to test the purity and chemistry of Gold and Silver products we sell to our customers. 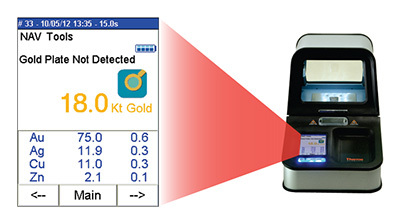 We are the first few Bullion houses in Malaysia who have invested an X-ray Fluorescence Spectrometry, or known as X-ray machine in short. This instrument is a technology used to test the purity and chemistry of Gold and Silver up to 99% accuracy. X-ray Fluorescence technology is the gold-standard for accurate, non-destructive elemental analysis in a wide range of applications including cement, metals, mining, petroleum, chemicals, environmental and food. The expenditure of this machine represents an investment of approximately MYR 70,000. An AELB (Lembaga Perlesenan Tenaga Atom) permit/ license is mandatory to operate this machine. How does the X-rays machine work? X-rays have a unique ability to ionize or “excite” elements presents in materials. When ionized elements return to a relaxed or stable state, they emit fluorescent x-rays whose energy levels are “signatures” of specific elements emitting these x-rays. Through complex, iterative calculations, a detailed composition of the metal sample is provided. How would BSM customers benefit from this X-rays machine? Should you have any questions or wish to have your bullion tested, you may schedule an appointment with us by subscribe the Bullion X-ray and PMV Testing Service.